Fire Emblem Heroes Training Tower Guide, Everything you need to know about the Training Tower In Fire Emblem Heroes. Including how to unlock all the Stratums and the types of rewards you can earn by climbing the tower. What Is The Trainer Tower In Fire Emblem Heroes? 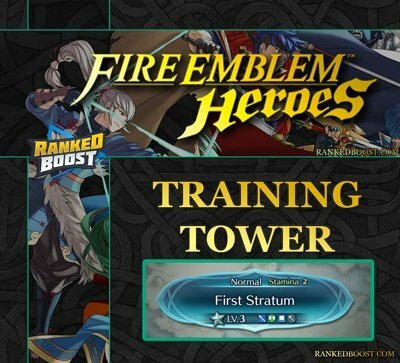 Fire Emblem Heroes Training Tower is a series of battle maps where your characters can earn more EXP than normal maps. Enemies and maps change each battle, so pick your team carefully. This the Training Tower is Best Place to level up your heroes in Fire Emblem Heroes. Stratums Levels unlock based on your progression in story maps, so players should clear a good amount of early story maps to unlock tower Stratums. 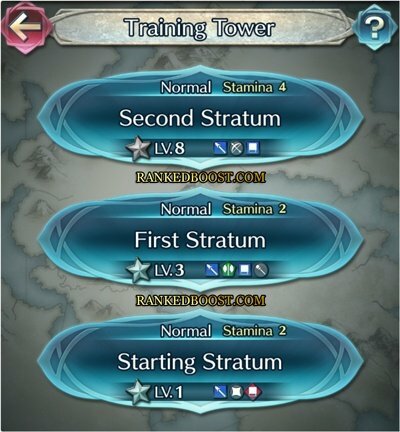 The Fire Emblem Heroes Training Tower is divided into 11 Stratums with varying levels of difficulty. The higher you go into the tower the harder the enemies will be, so players should always consider the levels of their units they will be using. Once Per Day when you clear a map in the Fire Emblem Heroes Training Tower, you can receive Shards or Crystals used for leveling your characters. Once Per Day when you clear a map in the Fire Emblem Heroes Training Tower, you can receive Badges used for unlocking your characters potential.